If you have own paper wallet, backup of private keys, or you catched luck and have keys with money. Read how to import these keys compressed/ uncompressed WIF formats and BIP 32/44 HD wallet. Using Blockchain Wallet browser version only, open Setting > Addresses. 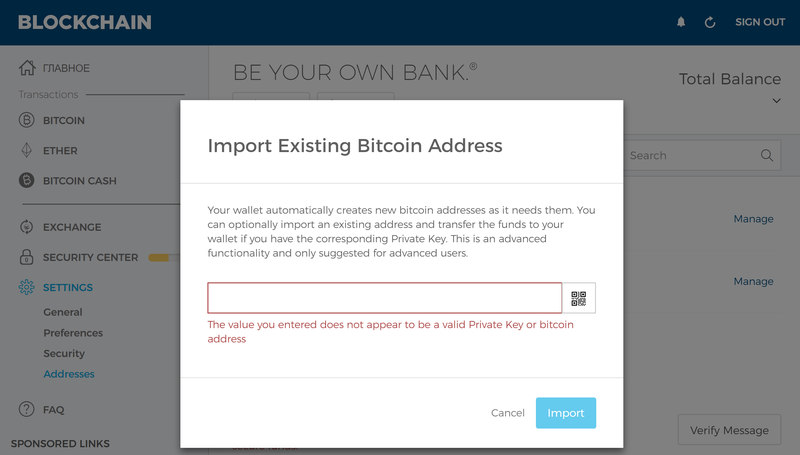 Then click Import Existing Bitcoin Address. You can enter WIF (Wallet Import/Export Format) or compressed private key. Also you can scan QR code keys from paper wallet. This will allow you to actually send and receive bitcoins to and from this bitcoin address. Site may propose you to transfer all bitcoins from imported address to integrated HD wallet. This is for your security. But you can keep imported keys with new address into wallet, without transfer. Bitcoin and Bitcoin Cash private keys is same. After private keys import, you can check balance on both cryptocurrencies just swithing networks. This site support two different networks: Bitcoin and Bitcoin Cash. Each private keys should be imported in different menus. 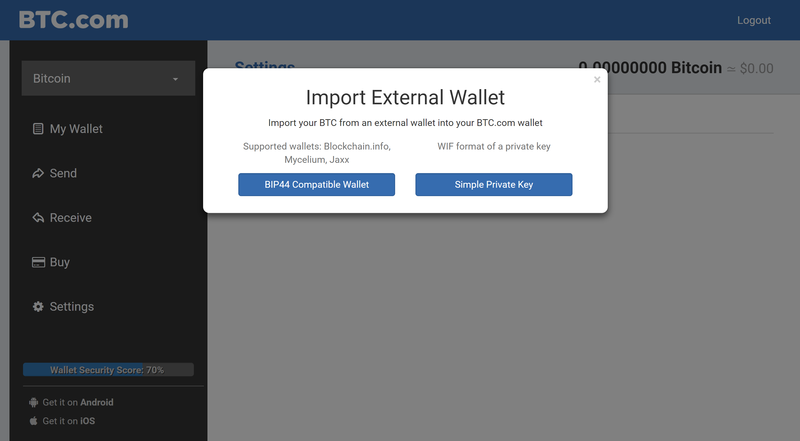 Btc.com also can inport keys from an external wallet in two formats: BIP44 HD wallet format (Supported wallets: Blockchain.info, Mycelium, Jaxx) and standart simple WIF format. Wallet with "BIP44 compatible" support will give you 12-24 words as the "seed" and use those words to deterministically generate a 512 bit seed to deterministically create a BIP32 master key, and then create and use child keys in the manner specified by BIP44. 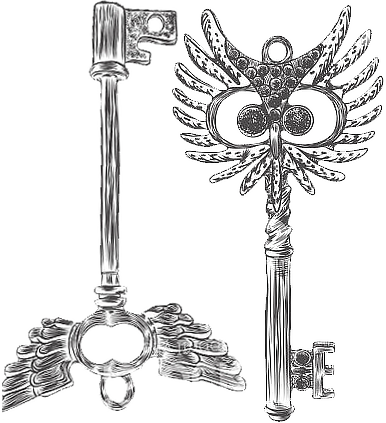 Having this key, you will get a unlimited various addresses for your wallet.